“The Relative Pitch presents…” on Saturday, October 17…Who’s in the show? From her funky style of dress to the mass of wild, beautiful dark curls that frame her face, 15 year old McKenzie Morgan is an artist in the making. Singing since the 3rd grade, McKenzie is now a student at Longleaf School of the Arts. In addition, she plays the ukuele and is learning the guitar. This summer, McKenzie performed at Cat’s Cradle as a part of the audition only University of North Carolina at Chapel Hill’s Choral Recording Camp for the second year in a row. Like everything she does, McKenzie’s sound is unique and authentically hers. 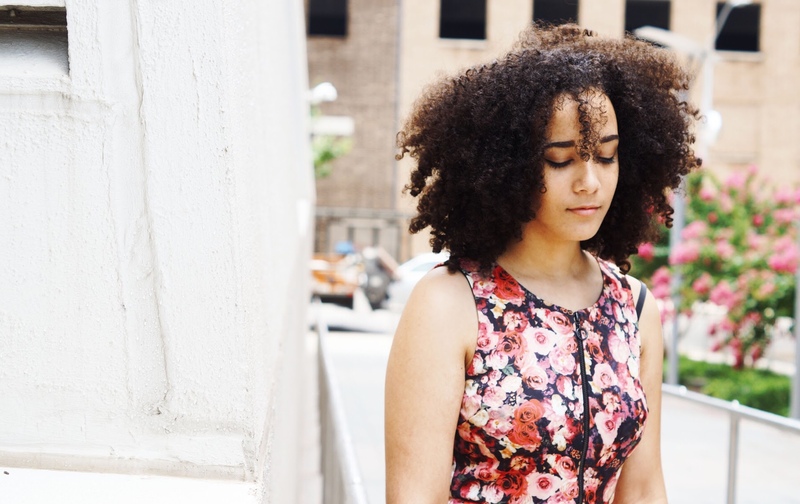 Describing her singing style as “Indie/Soul/Rock”, McKenzie has been influenced by an eclectic mix of artists like Waxhatchee, Melanie Martinez, The Cure, and Nina Simone. Her plans for the future include pursuing a career in musical therapy. Frances Mehlenbacher is a 15-year-old sophomore from Cary, NC, who attends Raleigh Charter High School. Frances has been harmonizing with her older sister since kindergarten and has participated in several community, school, and statewide honors choral ensembles as soprano, alto, and tenor. In addition to playing (and composing music with) piano and acoustic guitar, she’s passionate about learning new stringed instruments and dabbles in uke, mandolin, banjo, and bass. 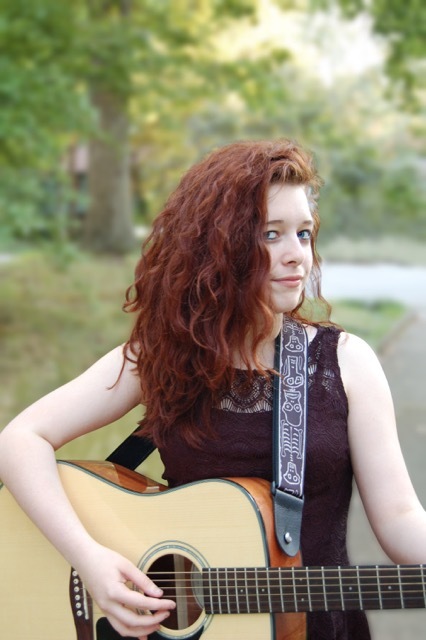 Frances has performed at several Triangle open mics both as a solo vocal guitarist and with her older sister, Eleanor, a music major at Duke, with whom she also performed at the 2015 Cary Christmas Tree Lighting Ceremony. Frances currently studies guitar and composition with Triangle-based recording artist Django Haskins. It could be said that 16 year old Yael Madero was born to perform. Coming from a family that sings and plays, she says she has sung for as long as she can remember. She has sung in talent shows and online and is now ready for her “The Relative Pitch presents…” debut. 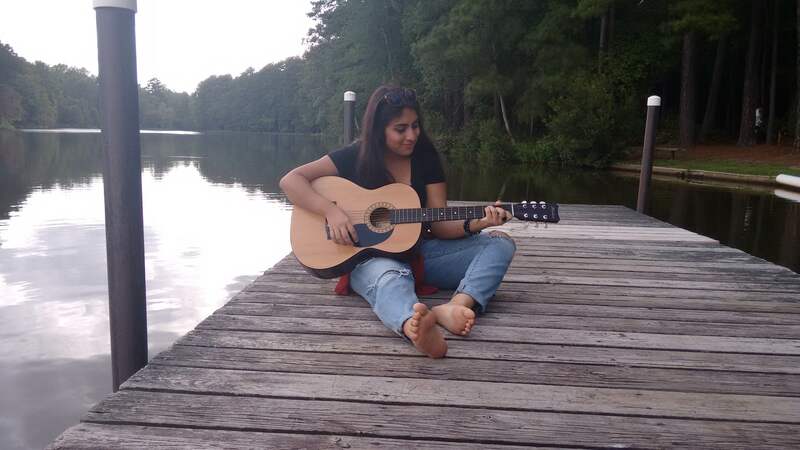 A self-described “alternative” singer-songwriter who plays both the guitar and the piano, Yael is musical quadruple threat who draws inspiration from artists like Amy Lee, Seahaven, and Wolf Alice. She looks forward to pursuing musical therapy as a career, in addition to continuing to perform. Finally, one of our youngest performers, Sereena, gave us a beautiful rendition of “Can You Feel the Love Tonight” from the Lion King. A HUGE thank you to all the performers, their parents, and Sola Coffee Cafe’ for hosting us. I hope you will join us for “The Relative Pitch presents…” featuring young artists Frances Melenbacher, Yael Madero, McKenzie Morgan on Saturday, October 17 at 7:30pm and The Relative Pitch Open Mic on Saturday November, 7 at 5pm, both at Sola Coffee Cafe’.